Ontario’s Finance Minister, Vic Fedeli indicated today that the province is going to face severe cuts, as the government announced it is working to close a $15 billion deficit. 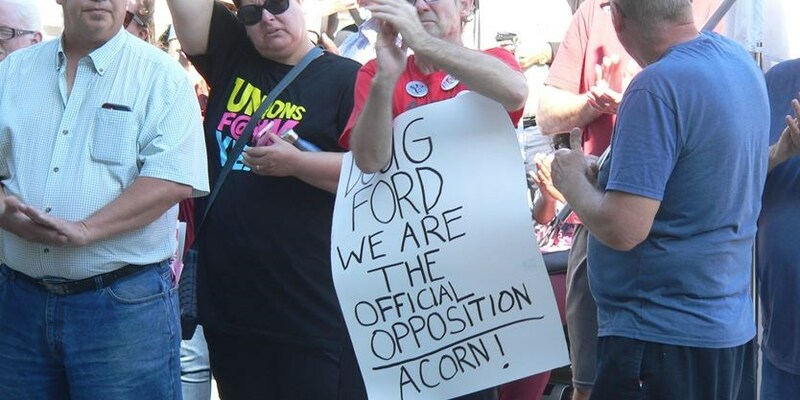 ACORN members are deeply concerned about what low-income families will be expected to sacrifice. Promised rate increases have already been slashed for ODSP and OW recipients, up to $500 million for social housing retrofits has been cut, and Ford has promised to roll back the minimum wage increase set to take place on January 1st. In a province where rents have risen by almost thirty per cent in the past ten years and the cost of living is skyrocketing, many low-income community members can barely afford to make ends meet, never mind absorb cuts to their income or essential services. It looks likely that low-income communities are once again going to be the target of this government’s harsh cuts.